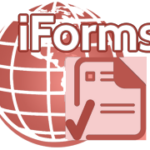 Product Description: The iForms, iSeries Snap-on Laser form printing module attaches to the iDocsTM Administrator to provide menus and business rules for defining dynamic, complex document printing operations on the IBM i. Solution Description: iFormsTM simply converts iSeries native spool files into laser printer output for the IBM i. A multitude of conditional operations can be pre-defined on a page-by-page basis including, data mapping, form overlays, graphical elements, routing instructions.